1. How to create, alter, rename and delete a table using C# ADO.NET? Creating a table using ado.net c# is very easy and you just need to know the way to send table query to the database using c# ado.net. In this chapter, you will learn how to create, rename, update and delete sql table using c# ado.net. In this example, I am going to use following table script to create Products table in ComputerShop Database. In the previous chapter, I have already explained how to Create, Select, Rename and Delete Database using C# ADO.NET. You can execute above query using the following block of codes. You can rename a SQL Table using the following block of codes. 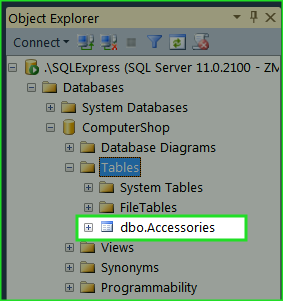 In this example, I will show you how can you add, update or remove a column from SQL Table. 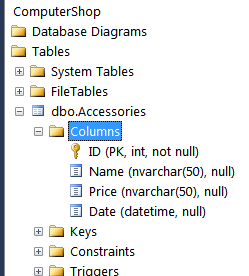 Executing above SQL Script using c# ado.net will create a new table Stock navarchar(50) in Accessories Table. 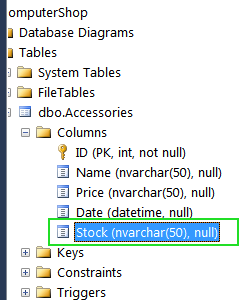 In this example, I will change column Stock nvarchar(50) to Stock int. 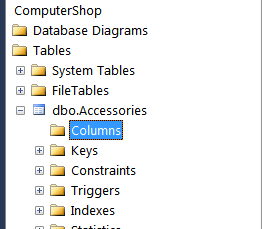 You can delete existing column using the following code. 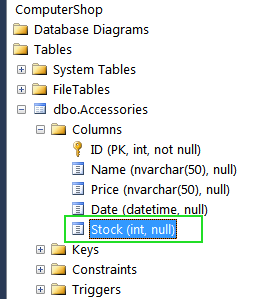 In order to DROP or DELETE SQL Table, you need to execute the following c# ado.net code. In this chapter, you learned SQL Table Manipulation in ADO.NET with complete programming example. I have added complete c# code for Create, Rename, Alter and Delete SQL Table. 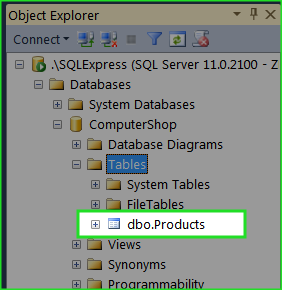 In the next chapter, you will learn Insert, Update, Read and Delete data from SQL Table.